Quality is at our core. 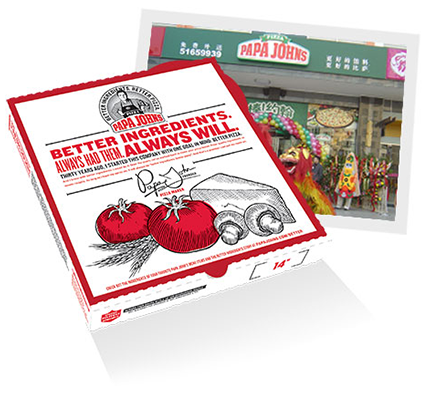 It’s the foundation we started with, from the first Papa John’s pizza that was made in a broom closet in Jeffersonville, IN, to now more than 4,900 locations in 34 countries around the world. 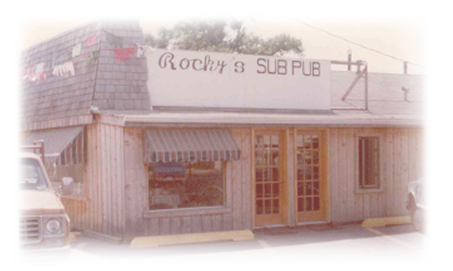 John Lands First Job at Rocky's Sub Pub. John's dad, Robert Schnatter, and his grandfather, “Papaw” Ackerson, drilled into John the importance of hard work. At 15 years old, he landed his first job at Rocky's Sub Pub, a local pizza restaurant, and worked his way up from dishwasher to pizza maker. That experience inspired him to open his own pizza restaurant and create a superior-quality pizza chain. After College He Saves Father's Business by Selling Prized Camaro. John received a business degree from Ball State University. 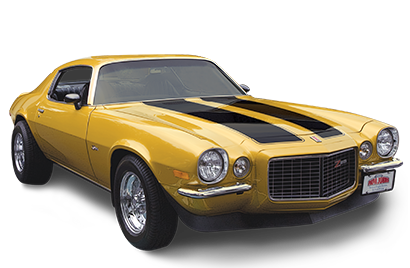 He worked at his father's tavern, Mick's Lounge, and after learning that it was on the verge of bankruptcy he sold his prized 1972 Camaro Z28 for $2,800 to help save the business. He knocked down the broom closet of Mick's Lounge, purchased used restaurant equipment, and began delivering pizzas out of the back of the bar. 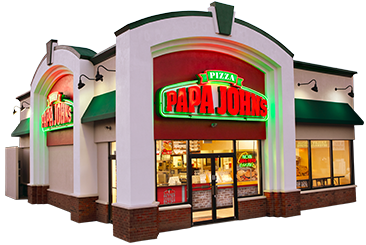 The First Papa John's Opens in Jeffersonville, Indiana. After one year, John made enough money to start his own restaurant – the very first Papa John's. Now John was able to put his idea of building a better pizza chain – one that's focused on quality – into action. We Sell our First Franchise and Grow to 100 Restaurants. In 1986, Papa John's sold its first franchise (restaurant #9) to Roger and Scott Roalofs in Fern Creek, Kentucky which is still operating today. By 1991, the 100th restaurant was opened in Clarksville, Tennessee. IPO Followed by Period of Rapid Growth. 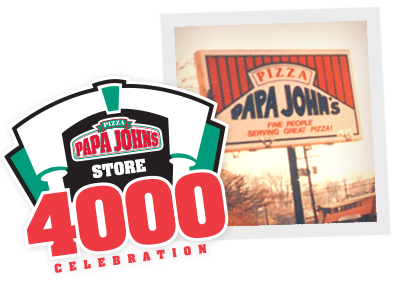 In 1994, Papa John's opened its 500th restaurant. By 1999, the 2000th restaurant opened and the company topped $1 billion in systemwide restaurant sales. 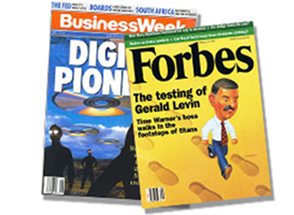 Forbes List of the Nations Best Small Companies. Ranked 10th by Forbes in List of the Nations 200 Best Small Companies. Ranked #1 in Overall Customer Satsfaction and Product Quality. For the first time Papa John's is ranked #1 in overall customer satsfaction and product quality among national pizza chains, in Restaurants and Institutions' Choice in Chains survey. The Birth of Online Ordering. 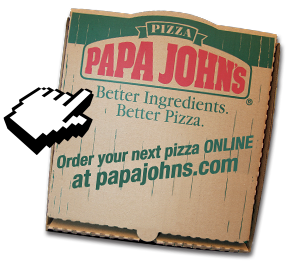 Papa John's becomes the first pizza chain to offer national online ordering at all traditional restaurants. That spurred major growth and by 2008, Papa John's topped $1 billion in e-commerce sales and its first $1 million in mobile web orders. By 2010, this exploded to $2 billion in U.S. e-commerce sales. Guinness World Record and 7 year Streak in Customer Satisfaction Rankings. 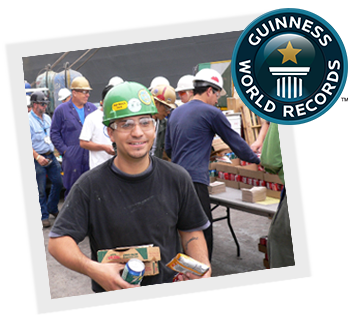 Papa John's made and delivered 13,500 six–inch pan pizzas to construction workers in San Diego upon completion of the U.S. Navy ship Lewis and Clark. Workers feasted on 2,275 pounds of cheese and 36,000 slices of pepperoni as a reward for finishing the two-and-a-half year job. Rated #1 in Customer Satisfaction. For the seventh consecutive year Papa John's was rated #1 in customer satisfaction among all quick service restaurants in the American Customer Satisfaction Index. Papa John's Long-lost Camaro is Found! Man receives $250,000 Finders Fee. 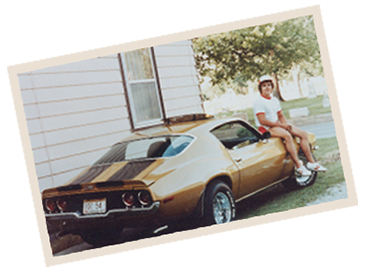 Papa John's offered a reward to help find the original Camaro Z28 that John sold for $2,800 in 1984. The Camaro was found and the finder was paid the $250,000. Today a replica Camaro sits in the lobby of our corporate offices. It reminds us that sometimes you need to make sacrifices to get ahead. It is a symbol of what it means to be all in and do everything possible in service to others and to make one's dreams a reality. 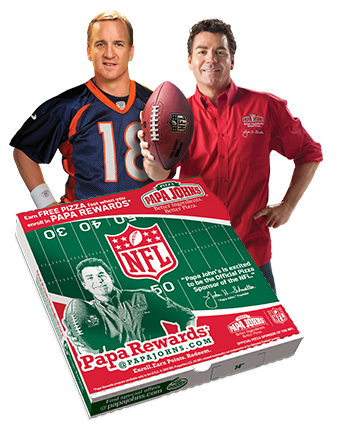 Papa John's Becomes Official Pizza Sponsor of the NFL. Football is America's most popular spectator sport. And pizza may be America's favorite game-time food. 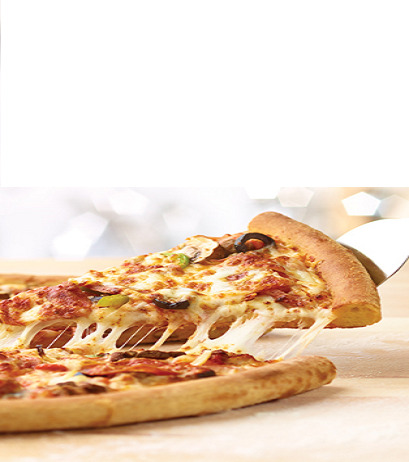 During the Super Bowl alone over 4.5 million pizzas are consumed by customers of the leading chains. Players like our spokesman and franchisee Peyton Manning embody the attitude that our company was founded on and which remains at the core of what we do every day and with every pizza we make. We Celebrate our 30th Anniversary. In 2014 we celebrated our 30th anniversary. 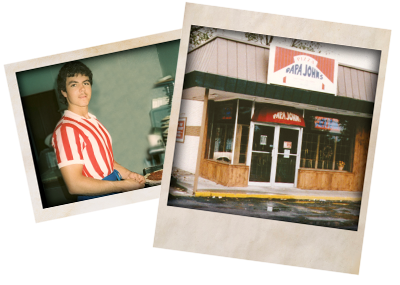 We are proud of our success and that our founder John Schnatter continues to be at the heart of everything we do. He is as passionate today about quality and making a better pizza as he was when he started this business. This passion and strong connection to our roots is what separates us from other national pizza chains. Over 4,700 restaurants worldwide—including more than 1,200 international restaurants in 37 countries and territories. We thank you, our valued customers, for once again voting us #1 in customer satisfaction in 2014. With a strong track record of digital "firsts" that have made ordering easy for customers, Papa John's has created a digital experience that customers love. Our digital and mobile channels now account for more than 50 percent of Papa John's total U.S. sales (delivery and carryout), making us the first in the industry to surpass this milestone! Even after over 30 years, what makes Papa John's different is our drive to be the best. We continue to make investments in our ingredients for our customers and stay true to our vision — Better Ingredients. Better Pizza.